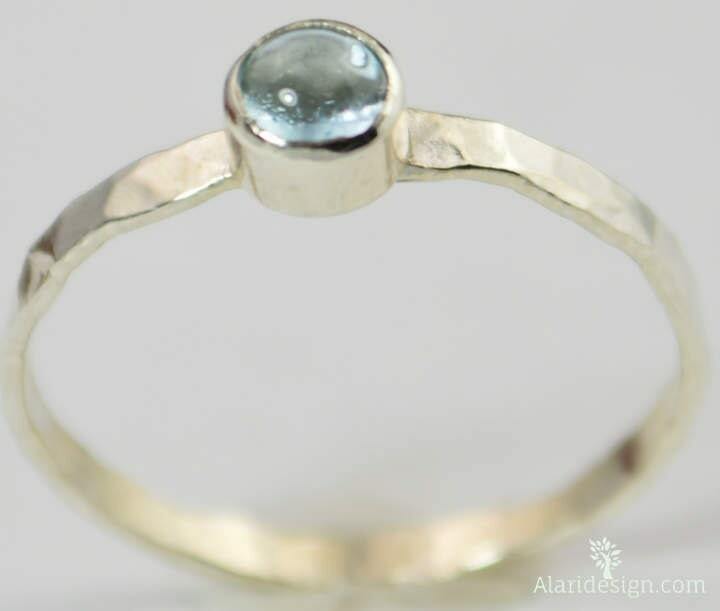 This petite natural Blue Topaz ring makes a subtle modern fashion statement! This thin pure silver band is set with a beautiful sky color 4mm natural blue topaz cabochon. This blue topaz ring is beautifully worn alone or worn together in clusters with my other stacking rings. These rings make a beautiful birthday or holiday gift! Blue Topaz is an alternative birthstone for December, So this is a perfect gift for December Babies or Mothers with a child born in December. These would also make great bridal gifts, convo me for multiple ring discounts! • Each rings band is about 1.50 mm wide and .85 mm thick. • The bezel is 4mm wide, and the Blue Topaz rises only about 4mm from the finger. • The ring is are super light as each ring with a stone weighs about .6 of a gram. Thank you Michael I love it, it's so beautiful and dainty I adore it.